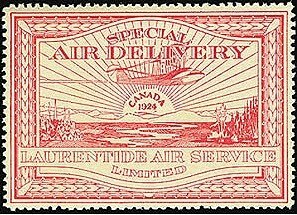 From 1912 through 1934, private mail services delivered mail via airplane to remote parts of Canada for which the regular postal service was insufficient or non-existent. 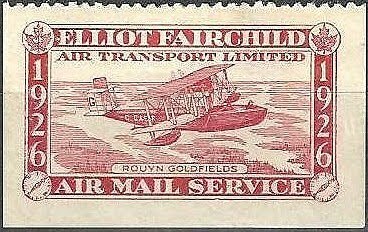 Beginning in 1918, some of these companies produced and sold stamps, which were to be affixed to the back of envelopes carried. Canadian postal regulations required that regular postage also be paid for delivery of this mail. Until recently, these stamps were listed only in specialized Canadian and Airmail catalogues. 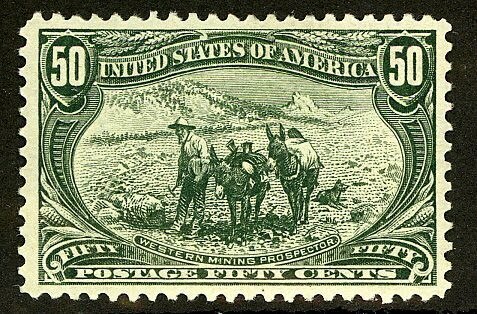 Now, they may also be found in Scott's Classic Specialized Catalogue, a book which conveniently lists worldwide stamps of the first hundred years of stamp issuance (1840-1940). Incidentally, while new Scott Classic Catalogues are pricey (about $130), used copies that are 2-4 years old may sometimes be found on ebay for $20 -$40. 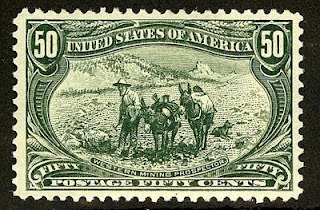 It's a useful reference to have, as it lists many stamps not found in the regular Scott's, and carrying one to shows and auctions is certainly easier than lugging around Scott's Volumes I to VI, plus the U.S. Specialized Catalogue. When a major stamp catalogue lists a new category of stamps that it's publishers heretofore considered either dubious or too obscure to include, it can significantly boost demand for those stamps. 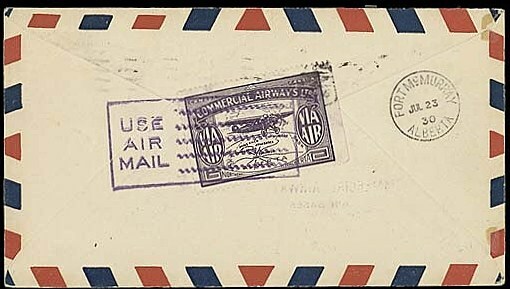 This may seem like the "tail wagging the dog" as far as the stamp market is concerned, but in this case, the tail is large enough that the aforementioned dog may need to take a Dramamine. In other words: "If they put it in the book, then it's worth a look." With a population of about 31 million, Canada is one of the world's wealthiest countries, and is one of the world's top ten trading nations. GDP growth has averaged 1.2% over the past five years, which takes into account the contraction of 2009 and '10 due to the global financial crisis. Canada's population is expected to age significantly over the next decades. Canadians over 60 are projected to increase from 16.7% of the population in 2000 to 27.9% in 2025, and 30.5% in 2050. 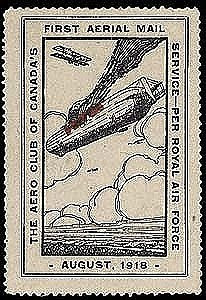 Consequently, in the future, many more Canadians will be spending time working on their stamp collections on cold winter days.